has been conveniently located in downtown Modesto since 1952. We strive to offer the highest level of personalized care, exceptional customer service, and a wide variety of designer eyewear to meet all of your eyecare needs. The Hinkley Optometric team includes Dr. Bruce Hinkley O.D. and Dr. Brendan James O.D. 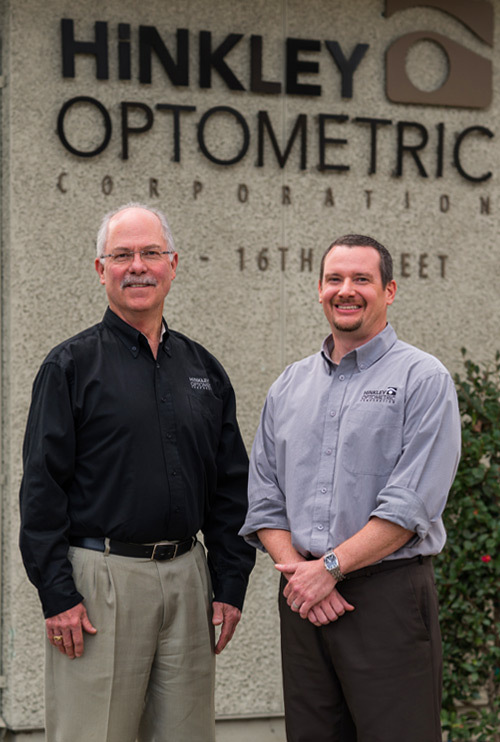 Together with Dr. Hinkley's 39 years of experience and Dr. James' 10 years of experience, we offer a full scope optometric practice with all the latest technology. In addition to our established patients and new patients to the office, we are also proud to welcome all previous patients from Dr. Eldon Rosenow O.D. at Family Vision Care Optometry. With Dr. Rosenow's recent retirement, we are continuing to see all previous Family Vision Care patients to maintain your continuity of care. Please feel free to contact us ar your earliest convenience to make an appointment with our professional team. We look forward to the opportunity to show you why Hinkley Optometric should be your last stop for all your vision needs.